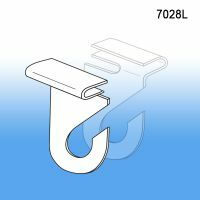 Aluminum Ceiling Hooks are clips designed to securely mount to ceiling grids and will hold many types and styles of ceiling hanging displays. 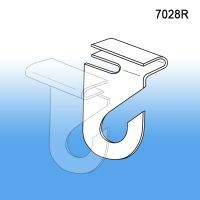 Clip Strips Corp.'s aluminum ceiling hooks will support suspended signage at retail off grid type ceiling set-ups. 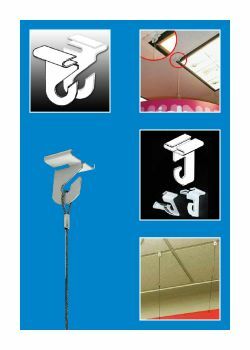 You can hook many types and styles of hanging accessories from their J hook feature. Not sure if it's right for you, ask us for a free sample. Count on Clip Strip for equipping your retail store with the fixtures you need to win at the point of purchase!